Traveling to Washington? This can be the correct spot on the net to locate places to swim in Washington. Each day you are not swimming you're losing precious time to improve your skills a be a greater swimmer! No a lot more excuses!. 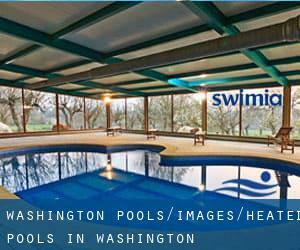 Looking for Heated Pools in Washington? Lots of of them belong to gyms or sport centers which also offer lessons. Not all countries are the identical, and swimming regulations and rules are changing from one country to another. Swimia.com requirements your feedback to ensure all the knowledge is valid, since maybe this pool is no longer open to the public. Please check the nearest Swimming Pools or Contact us to ADD IT. It is cost-free! These are the Heated Pools in Washington other users have reported. Are you a local and your pool isn't listed? Contact us to ADD IT. It's free of charge! Let us tell you a secret to switch off while you are in Seattle: just pick a Swimming Pool in Seattle and plunge into the water! There's no more effective method. Swimming is really a wonderful thought to keep your body active throughout your visit to Tacoma (Washington), or even if you are a local. Swimia helps you to find your closest Swimming Pool in Tacoma. It's difficult to visit Washington without dropping by Spokane (with 208.916 residents). 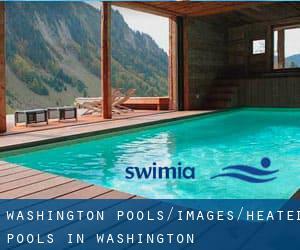 Currently Swimia is showing you all the Swimming Pool in Spokane as well as the closest pools located in its vicinity. Updated on 2019 509 West Pine Street , Yakima , WA , USA (Postal Code: 98902). This sports center delivers 25 yards, 6 lanes, Indoors. For this Swimming Pool, only phone number is number here. Updated on 2019 18900 - 44th Ave. W. , Lynnwood , WA , USA (Postal Code: 98036). Swimmers like you reported 25 yards x 44 feet, 6 lanes, 3.5f - 12 feet depth, Indoor/Outdoor. Unfortunately we do not have the email address of this Swimming Pool, but we can give you the phone number. Updated on 2019 2930 - 228th Avenue Southeast , Sammamish , WA , USA (Postal Code: 98075). Among all the activities offered by the center, if you are enthusiastic about swimming you are going to enjoy 25 yards, Indoors. Just in case you want to contact this Swimming Pool prior to dropping by, we only know the phone number. Updated on 2019 1602 S. Martin Luther King Jr. Way (South K St.) , Tacoma , WA , USA (Postal Code: 98405). Among all the activities supplied by the center, for anybody who is considering swimming you are going to appreciate 25 meters x 45 feet, 6 lanes, Indoors. Just in case you need to contact this Swimming Pool before dropping by, we only know the phone number. Updated on 2019 2629 SW Andover St. , West Seattle , Seattle , WA , USA (Postal Code: 98126). This sports center gives 25 meters, 7 lanes, 5 feet depth, Indoors. For this Swimming Pool, only phone number is number here. Updated on 2019 7956 178th Pl. N.E. , Redmond , WA , USA (Postal Code: 98052). Among all the activities supplied by the center, if you're interested in swimming you will enjoy 25 yards, 5 lanes, Salt Water, Non-Chlorine Sanitized, Indoors. If you need to make contact with this Swimming Pool, email address and phone number are both number. Updated on 2019 4515 - 36th Ave. S.W. , West Seattle , Seattle , WA , USA (Postal Code: 98126). Among all the activities provided by the center, if you are thinking about swimming you may take pleasure in 25 yards x 36 feet, 6 lanes, Indoors. Just in case you want to make contact with this Swimming Pool before dropping by, we only know the phone number. Updated on 2019 9715 Lakewood Drive Southwest , Lakewood , WA , USA (Postal Code: 98499). Swimmers like you reported 25 meters, 8 lanes, Indoors. Unfortunately we do not have the email address of this Swimming Pool, but we can give you the phone number. Updated on 2019 510 Franklin St. S.E. , Olympia , WA , USA (Postal Code: 98501). This sports center provides 20 yards x 20 feet, 2-3 lanes, Indoors. For this Swimming Pool, only phone number is number here. Updated on 2019 2115 NW Poplar Way , Issaquah , WA , USA (Postal Code: 98072). This sports center offers 25 yards, 4 lanes, 4 feet depth, Indoors. Contact knowledge for this Swimming Pool including phone number and email address are number. Updated on 2019 5501 S. Regal St. , Spokane , WA , USA (Postal Code: 99223). Swimmers like you reported 20 yards, Indoors. Phone number and email address are number for this Swimming Pool. Updated on 2019 1325 - 6th Ave. , Downtown , Seattle , WA , USA (Postal Code: 98101). This sports center provides 25 yards, Indoors. For this Swimming Pool, only phone number is number here.